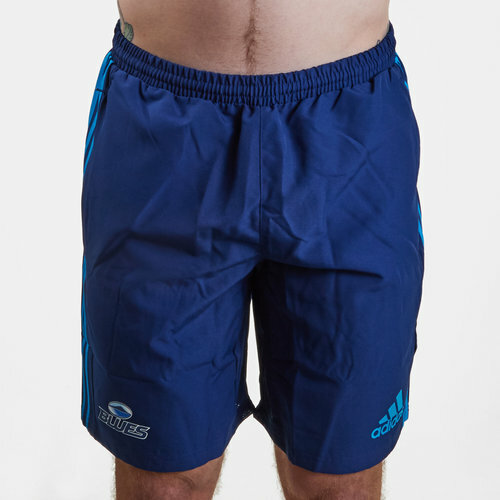 Show some passion and pride for one of the Super Rugby powerhouses, the Blues when you grab yourself the all new adidas Auckland Blues 2019 Super Rugby Woven Training Shorts in Dark Blue. These shorts feature sweat-wicking fabric keeps you dry when you're working your hardest in a game. They are dark blue with the adidas classic 3 stripe motif on the sides of the shorts in sky blue. The Blues logo is on the right whilst the adidas logo is on the left.